I thought what could this international magazine have in-store for it's loyal readers. Women spend so much yearly on fragrances, in 2014 alone women in the UK spent £71 million on fragrances. Whoa! 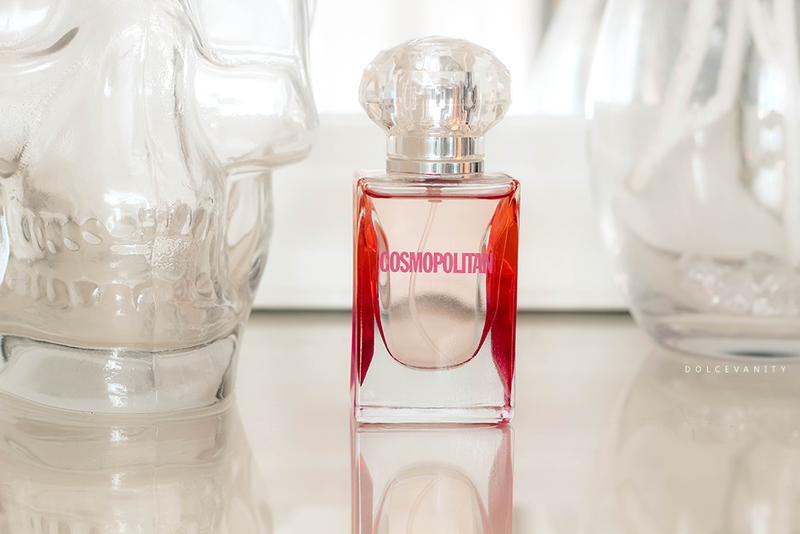 Cosmopolitan launched their first fragrance last year. I remember when they started to advertise for their fun, fearless females to be advertised alongside the campaign, I did enter - I won't hold it against them! But I wasn't sure exactly what I expected from the magazine, several things went through my head on what they may be doing with their first fragrance. Was it going to actually be a body spray? I had no inkling it would be an Eau De Parfum. As I said I wasn't sure what I was expecting from the Cosmopolitan The Fragrance. Pineapple, bergamot, mandarin orange, nectarine and pink pepper. Saffron, heliotrope, jasmine, pimento and carrot seeds. Tonka bean, patchouli, musk, sandalwood, vanilla and caramel. Upon spraying this there's a very sweet aroma that begins to settle into a vanillary but yet musky scent. I often spray my fragrances onto my skin right after my moisturiser has been applied so that is has something to adhere to. On the skin I'd say it'll last roughly 4-5 hours but it dulls down, most fragrances are a lot more suited on the clothes - they really hang on there but fragrances always are best applied to the skin, so your own body temperature can heat and release the notes, so hit a few of those pulse points (inner arms, the backs of your knees and ears) and get the most out from this. Being that this would be the company's first fragrance to be associated with them I don't think the notes were a bad choice, I could be biased but it's got notes that can favour nearly all. The longevity of the scent could of lasted longer but that's something for them to possibly amend later on.